Now Hiring! Apply In Store. Must be willing to travel for gun shows. Specialty Arms 2 has been providing the communities in and around Rutherford County, TN with high-quality, dependable firearm solutions since 1979. With more than three decades of experience, we continue to be one of Tennessee’s premier purveyors of guns, ammunition and firearm accessories. If you are in need of a new firearm, Specialty Arms 2 can provide you with the professional guidance and expertise necessary to make an informed decision about which gun is right for you. As a federally licensed gun dealer, we are known for offering a high degree of trustworthiness and reliability throughout the community. Our knowledgeable teammates are here to assist you in deciding which weapon suits your hunting or personal defense needs. We buy, sell and trade guns and accessories. If you have an old firearm and are hoping to exchange it for a newer weapon, our team can help you procure the gun that is right for you. We are intensely dedicated to providing our customers with the best service experience possible. We want to help you get the right gun in your hands in a prompt and responsible manner. 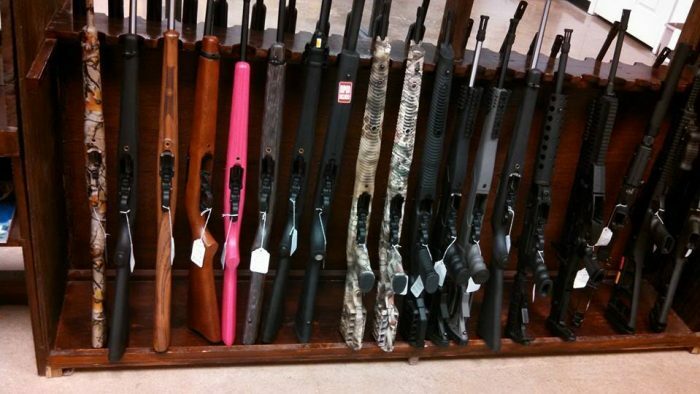 A wide range of gun brands and styles are available at our shop. If you don’t see the firearm that you are looking for, we will do our best to special order it and ensure that you have the weapon you need for hunting or self-defense. We frequently travel to gun shows across the state. Our independently-operated store buys, sells and trades a wide range of firearms. We have been the preferred gun shop in Rutherford County, TN since 1979. Specialty Arms 2 is a federally licensed firearm and ammunition dealer. We belong to both the National Rifle Association (NRA) and the Better Business Bureau (BBB). Shop local for your next gun purchase. To inquire about the value of your old gun or to learn which firearm is best suited for your needs, contact our sales team as soon as possible!